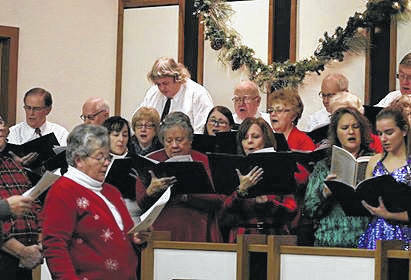 GALION — ‘Warm Winter Memories: An afternoon of Holiday Music and Warm Reflection,’ the first of the Herb Krichbaum Community Concert Series, was presented Sunday afternoon at Christ United Methodist Church in Galion. Krichbaum, was a long-time icon who taught hundreds in Galion and surrounding communities to sing and play the piano. The concert honored Krichbaum’s legacy by featuring performers and music with direct connections to Krichbaum. The concert series was established by the Memorial Gifts Committee at the church, to honor Krichbaum, who among other things, directed the choir at First (now Christ) United Methodist Church for 43 years.